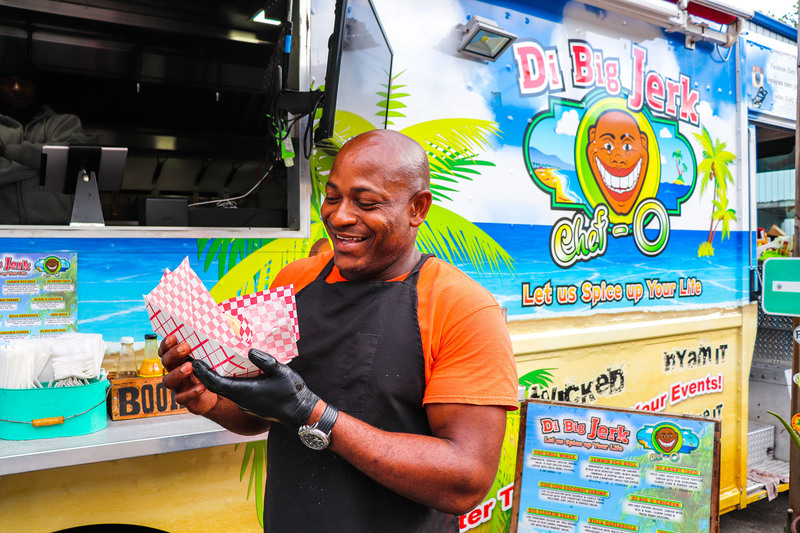 Hello food truck nation! What do you get when you have a handcrafted, halo resting in a vanilla ice cream cloud? 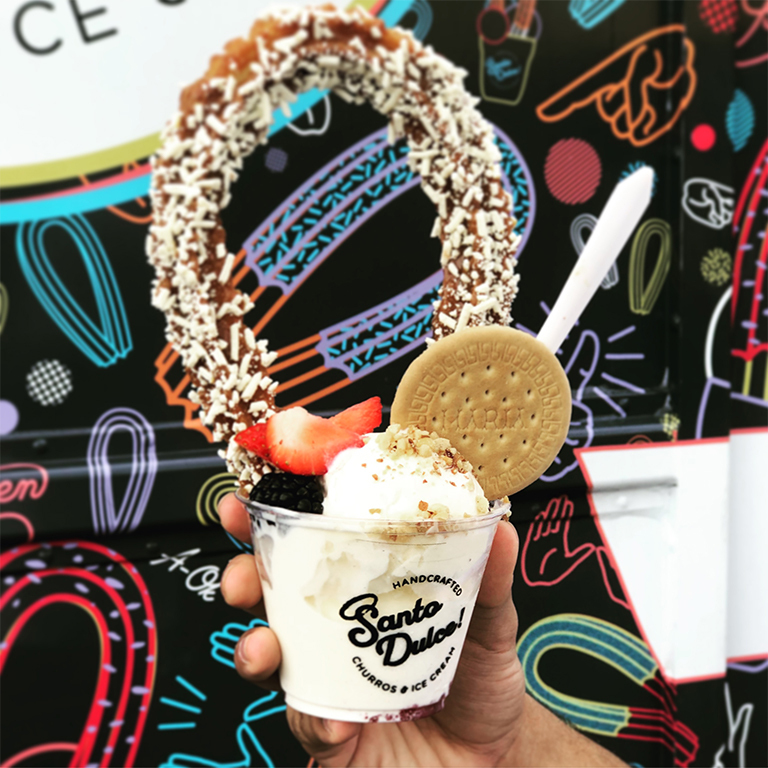 A sinfully, sweet santo sundae from Miami’s own, Santo Dulce. 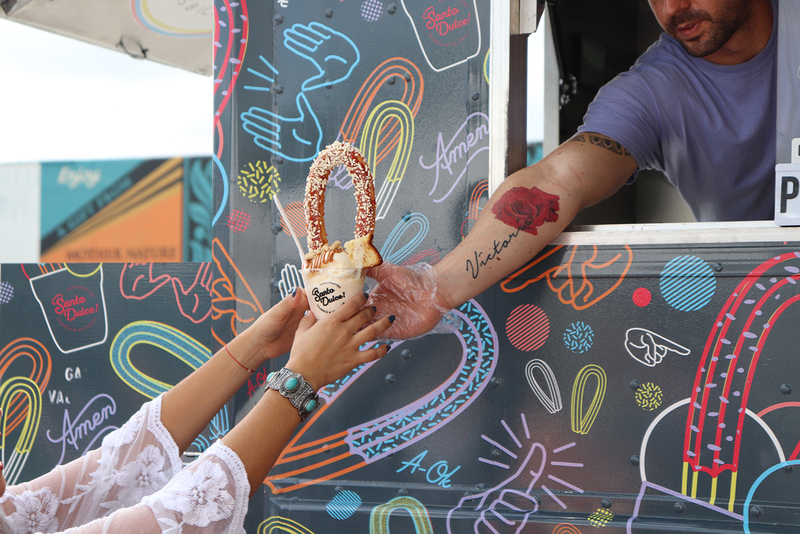 Last week we met up with Yule and Laura, owners of Santo Dulce, at the Wynwood Marketplace to talk churros. This powerhouse couple started less than 5 months ago and have sold us on their idea that when life is short, make it dulce! Who’s with me?! Yule and Laura are passionate travelers and while on these trips are always in search of trying new churros wherever they go. Since churros are typically not sold fresh, they have generated a bad reputation. 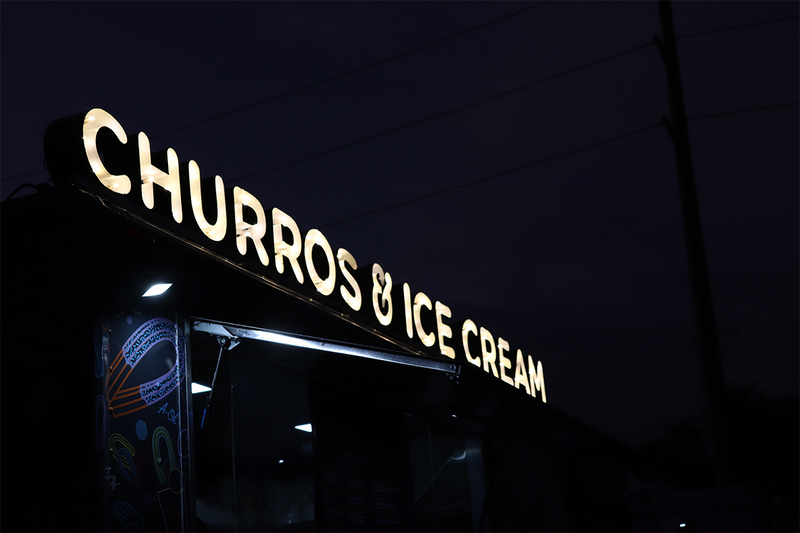 During one particular trip to California, Yule and Laura tried churros paired with ice cream for the very first time and fell in love with the sweet combination. Just like that, Yule knew if she could pair ice cream with her delicious churros, they would be a hit (and she was right!). 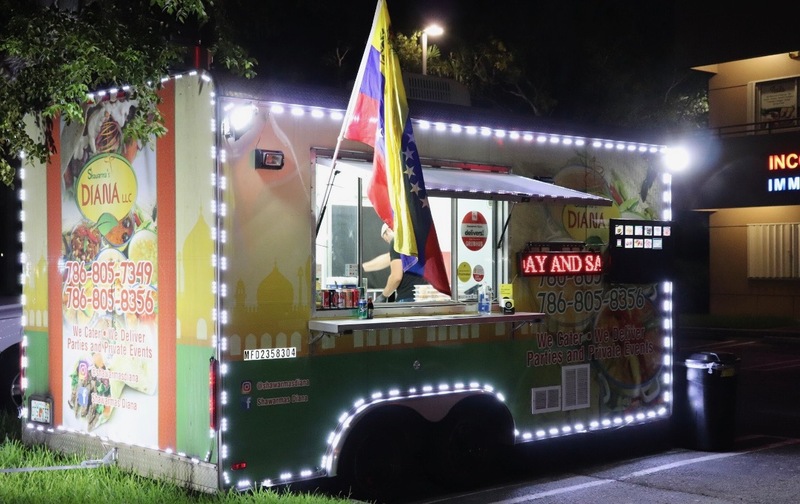 With the love and support of Laura and their families, they quickly worked day and night to make their dreams of owning a food truck, a reality. Enter Santo Dulce! Now, Yule’s churros are not your average churros as they come topped with a variety of sauces, toppings and Venezuelan cheese. Yes, we said cheese! While conducting our interview, we got to taste Yule’s favorite churro called, “The Salted Dulce”. This is their twist on a classic dessert combination starring salt and caramel which starts with their creamy vanilla ice cream, a freshly fried halo churro drizzled in divine dulce de leche sauce and topped with tangy Venezuelan cheese. 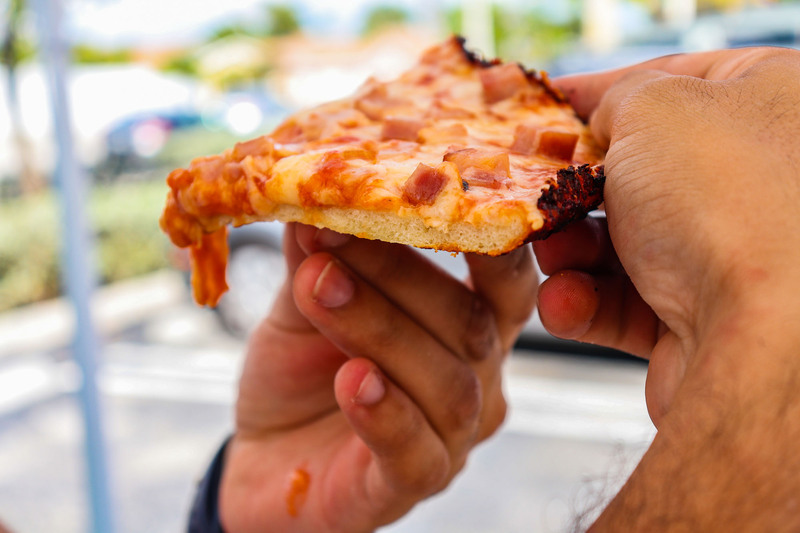 The inspiration behind this sweet treat was a traditional dessert from Colombia called “arequipe”, which is dulce de leche paired with a big square of cheese. They used both nationalities to create this wonderful dessert. 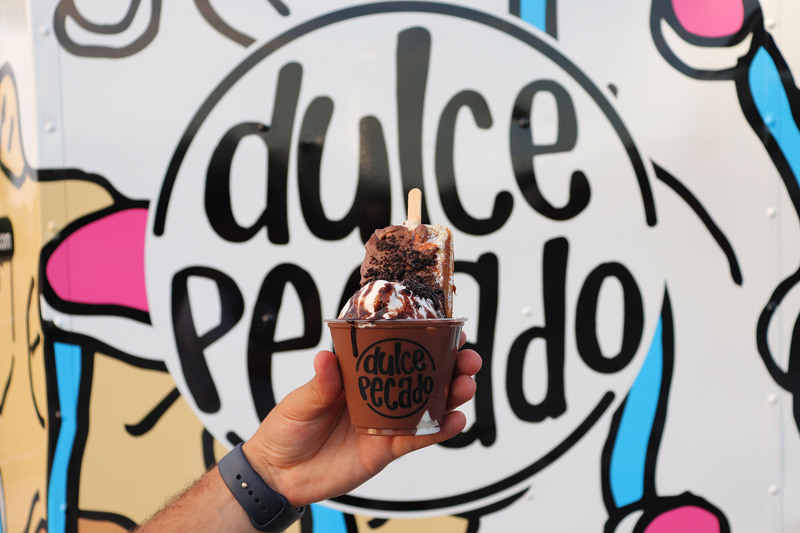 The Salted Dulce has not only become a customer favorite requested by many daily, but went on to win the People’s Choice Champion Award in the 2018 Dessert Wars. 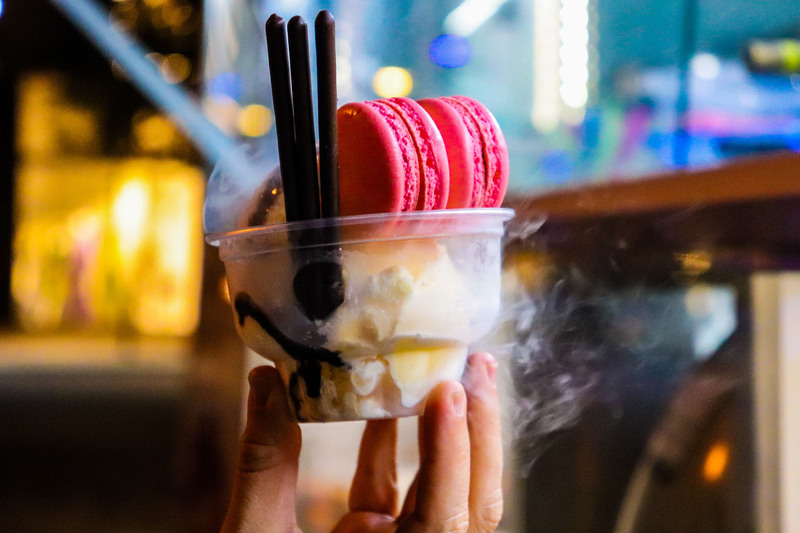 This event was no small victory as there were over 50 vendors baking their very best sweet creations and has quickly become the largest dessert festival in America. So, why Santo Dulce? Well, it’s a play on words from a classic Spanish phrase meaning “holy sh*t!” used a lot in Venezuela. Yule wanted a fun name to represent what a customer might say or think after eating one of her sweet creations. 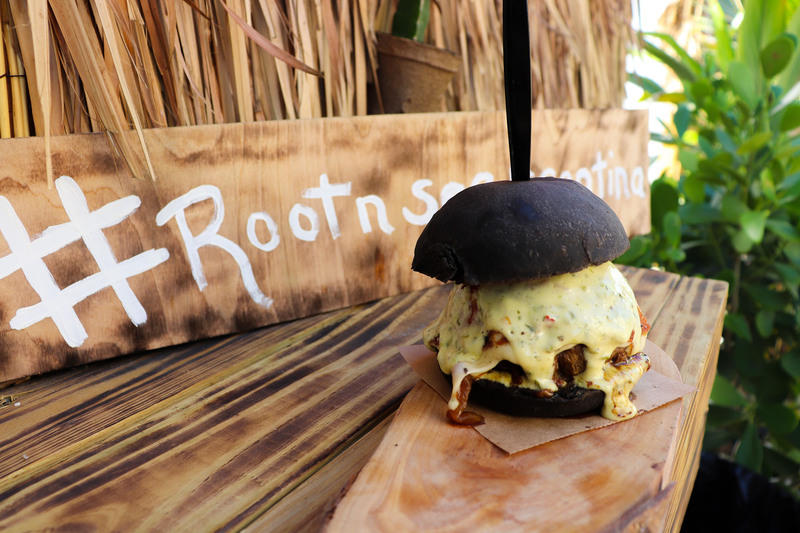 Their food truck is not your average looking truck either… The look for their modern food truck was designed by local Miami artists, AMLgMATD, in collaboration with Yule and Laura. 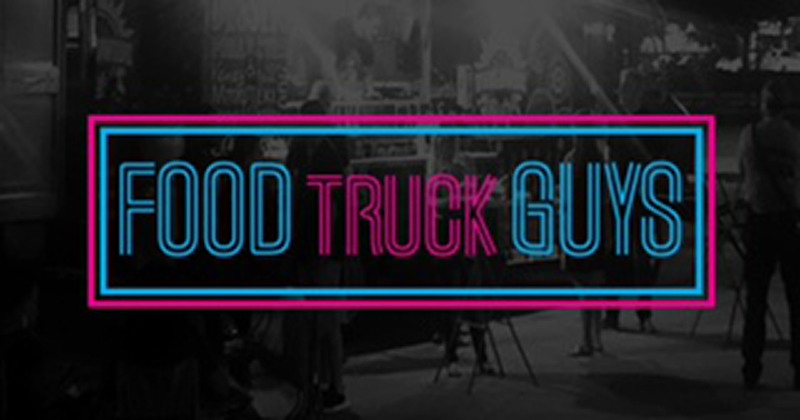 The truck is covered in different unique icons like their classic halo shaped churros, religious uplifting phrases and words and even fun emoji hand gestures! Next time you are standing in line, take a look at the truck! 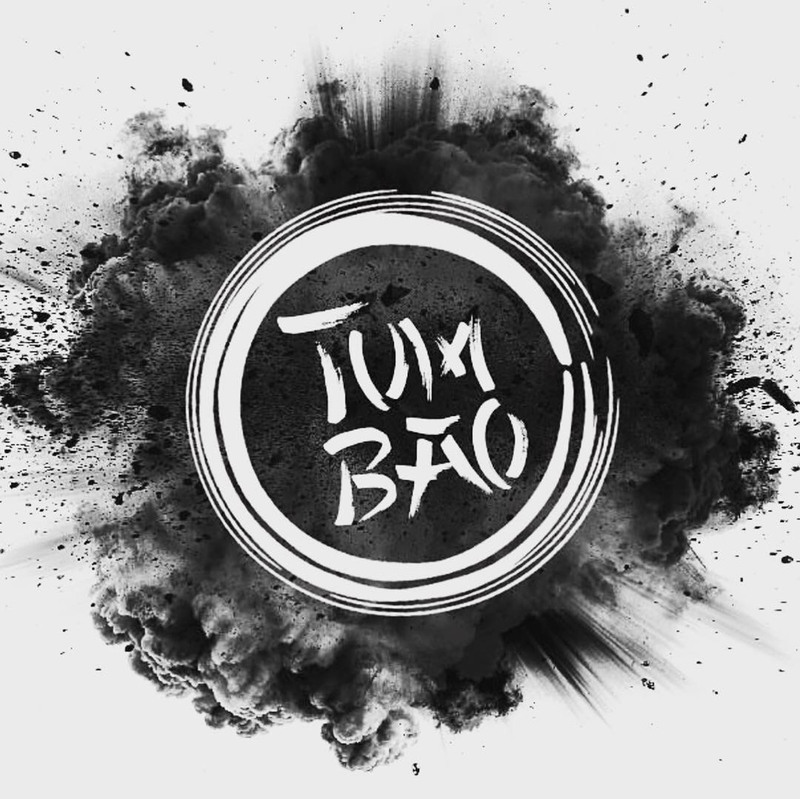 We are sure you’ll always find something new every time you look at it. Most importantly, their logo paints a beautiful homage to the flags of the countries Yule and Laura are from, Venezuela and Colombia, and the love they have for each other as three rings in red, blue and yellow intertwine around the name together. In a world where gender equality AND who we should love is still constantly questioned, it is so inspiring to see two powerful women forging a path for women to be able to do whatever we want and love whomever we want! You can DEFINITELY feel the love on any given night at Santo Dulce. While Yule is frying churros and Laura is busy taking orders, you can find different family members working alongside them. Mario, a huge part of the puzzle is Yule’s brother in law and has brought years of experience of churro making to Santo Dulce and has become the main truck operator. 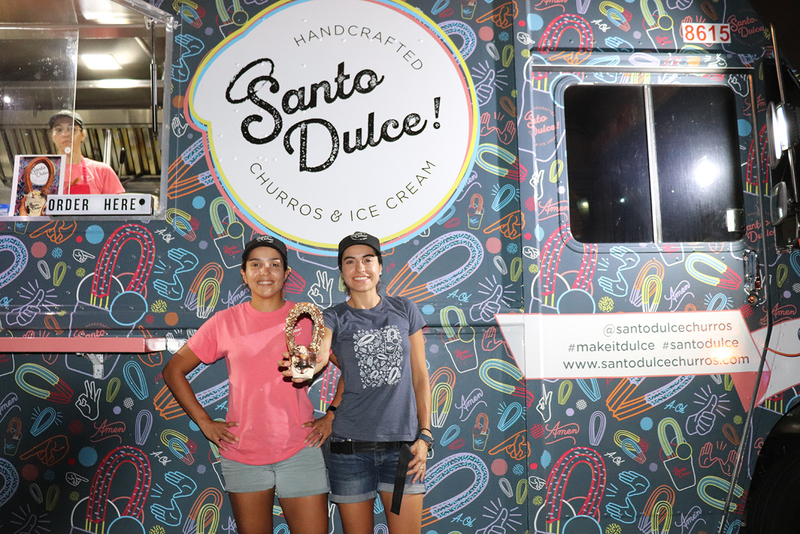 People from all over the nation are flocking to Santo Dulce to experience their delectable churros. 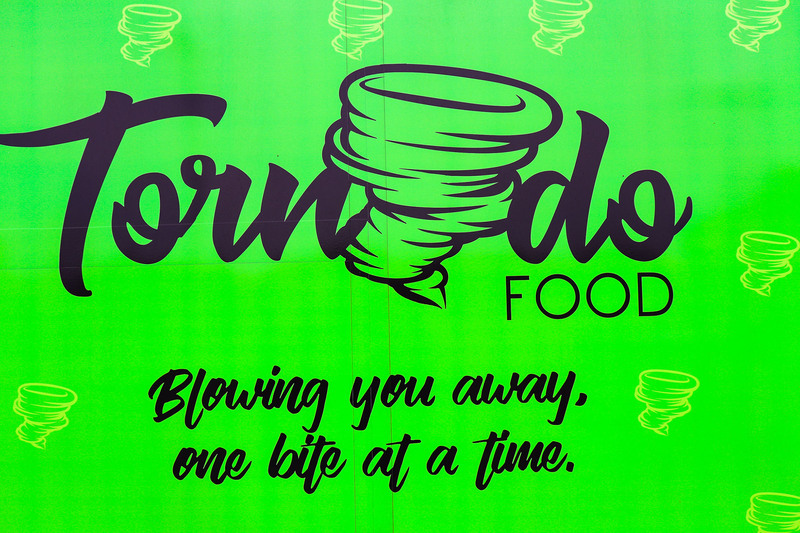 I and the Food Truck Guys are beyond appreciative to have been able to meet Yule and Laura and would like to thank them for taking the time to sit with us and share their incredible story of what you can accomplish with hard work, determination and lots of LOVE.